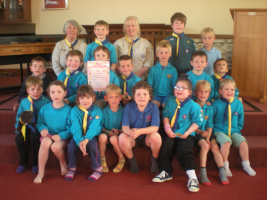 Beaver Scouts are boys and girls between ages 6 and 8 years. The Beaver Scout Colony meets weekly during term-time, currently FRIDAYS 17:15 prompt to 18:30pm at our new Hall in Hill Mountain unless notified differently. 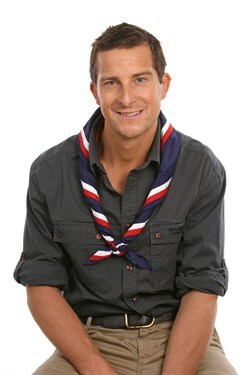 All Beavers are expected to wear neat and tidy uniform waist up every week please! The Beavers take part in a wide range of activities which include games, crafts, and visits as well as having the opportunity to go to camp, sleepovers and lots of other brilliant adventures! Beavers also work towards Activity badges covering a wide range of activities such as caring for animals, exploring new places, cycling, hobbies, and many more. As a Colony, we also work towards Challenge Badges which are designed to get the Beavers to try new and different things. When Beaver Scouts have completed all six Challenge Badges, they are awarded the Chief Scouts Bronze Award, the highest award a Beaver Scout can earn. As Beaver's approach their 8th birthday they begin finding out about Cub Scouts and 'swim up' to Cubs. Swimming up is a chance to say goodbye to their fellow Beavers, reflect on what they have done at Beavers and say hello to new friends and adventures in Cubs. Beavers programme and parent helper rotas are available to download from the News page.